The intense physical effort required for any of our walks releases endorphins to the brain which makes you feel good. The endorphins interact with receptors in the brain that reduces the perception of pain and creates a sense of euphoria. And of course, a Freshwalks outing pretty much guarantees an amazing night’s sleep afterwards – essential in repairing a busy or anxious mind. Less to do with actual mental health but more to do with improving mental performance, the brain also clicks into higher gears throughout physical exercise. That’s why so many people find themselves collaborating and brainstorming new ideas on our walks. A key psychological benefit of regular physical activity is improved self-esteem. In particular, scrambling to the top of the likes of Grindsbrook Clough in driving rain challenges all but the hardiest soul. It creates a camaraderie within our group that pushes people further out of their comfort zone than they might do alone. A shared sense of achievement is a powerful human emotion. There’s also the boost you’ll get for working on your physical fitness – whatever your personal fitness goals or level may be. I’m always amazed by the depths of conversation on an average Freshwalks. Maybe it’s the lack of distraction and the solitude of the environments we walk in but people are more transparent and readily open up to friends and strangers about challenges and experiences in their world – personal or business. For the sharer, it’s therapeutic to get things off the chest and say things out loud. And often a fresh perspective on a particular challenge can break it down and make it seem less insurmountable. However, it’s also a chance to listen to others and a basic coping strategy in life is to sometimes contextualise stuff going on in your world. One thing I’ve learnt is that everyone has stuff they are dealing with and it can help you feel a little bit more positive about your own problems to help others with theirs. Too many business people are semi-permanently (who are we kidding, permanently!) wired to technology and by default their work. I’m there myself. The 9 ’til 5 working day is now all but dead in many sectors as social media and other emerging communication channels condition an increasing client expectation of how and when we respond. It’s proven to be entirely counter-productive. The French have banned emails out of hours and though I suspect the UK will follow suit at some point in the future (perhaps distant, given Brexit) how do we redress the balance in the short term? 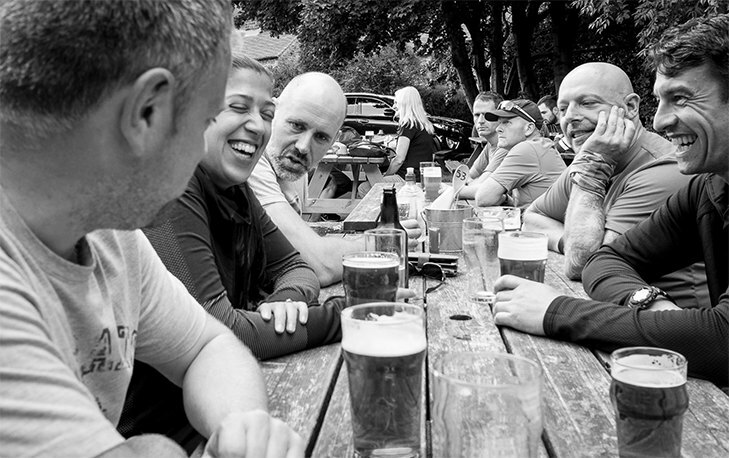 I would urge anyone who regularly finds themselves working evenings and weekend to not feel guilty – in fact, to feel damn proud, about occasionally taking a half or full day out for your own personal benefit. You definitely owe yourself some TLC for all that you give back the other way. One huge benefit of Freshwalks is that quite often we are in places without phone signal, let alone WiFi so this disconnection is pretty much enforced beyond the odd photo. So, stop worrying about a growing number of emails within your inbox and re-tune that part of your mind to bigger picture, strategic stuff. These are the ideas and decisions that will truly shape your personal and business future. It can be a lonely place running a business. Unless you enjoy the benefit of a non-exec or a partner who can empathise with the risks, challenges and problems you face day-to-day it can often feel like a solo journey for an MD or CEO. Meeting fellow business owners and spending quality time in the hills comparing notes can be wholly rewarding on many levels. The working economy has also changed significantly over the past decade and is now supported by a growing number of consultants, contractors and freelancers – many of whom will work remotely, from home or on the move. 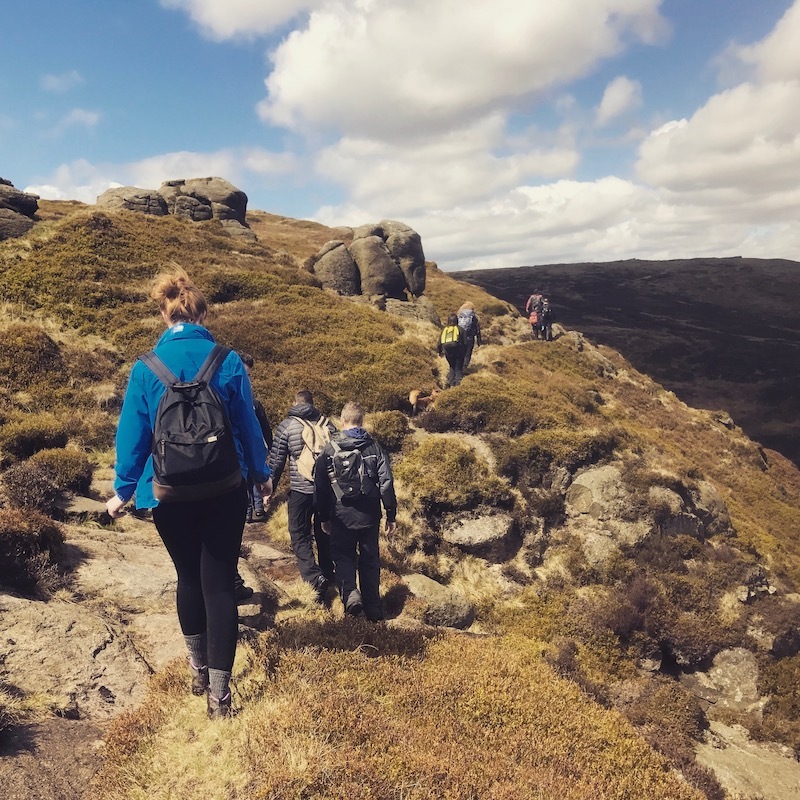 Freshwalks can balance all of these potential threats of loneliness aligning the commercial necessity of getting out to meet people with an opportunity to meet some kindred spirits and form genuine friendships. 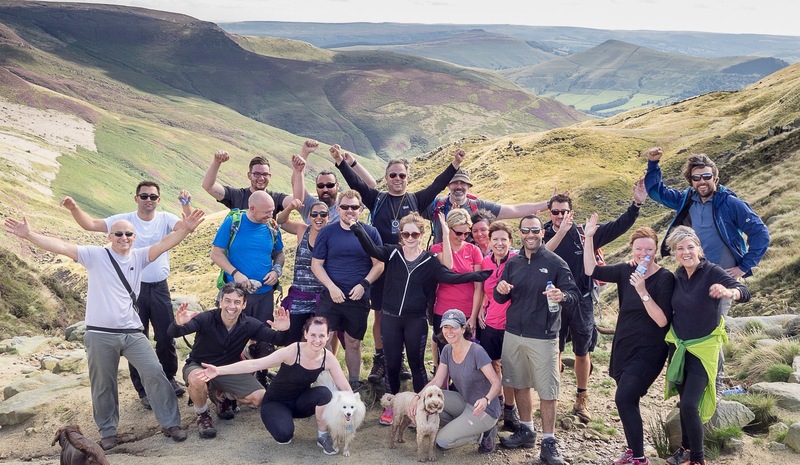 And of course, it goes without saying that Freshwalks is a perfect welcoming committee for anyone new to a city and looking to build a fresh network of friends and business associates. Satisfying social relationships are proven to be essential for mental and physical wellbeing. We all need nature in our lives. It gives us freedom and helps us live healthily. A study team of 11 researchers at the Institute for European Environmental Policy spent a year reviewing 200 academic studies for a report on the dynamic between health, nature and wellbeing. The evidence was pretty overwhelming. Shinrin-yoku is a term that means ‘taking in the forest atmosphere’ or ‘forest bathing’. It was developed in Japan during the 1980s and has become a cornerstone of healthcare and healing in Japanese medicine. Nature is an under-recognised healer offering multiple health benefits from stuff like allergy reductions to increases in self-esteem and mental wellbeing.